Our website aims to give you a flavour of our active and friendly school. It also provides information for both parents and pupils, which is regularly updated. Moorlands Junior School provides for children aged 7 – 11. We are a two form entry school with eight classes in mainstream. We also have a Small Specialist Class for children with statements for Complex Learning and Social Communication Difficulties. Places in this class are allocated by the Local Authority. We are extremely fortunate to have extensive school grounds and are especially proud to have recently installed three wonderful treehouses for our children to use to enhance playtime and improve the use of our outside areas in sport and outdoor learning. Our children are happy, well-behaved learners and we are often praised for this by visitors to the school or during visits into the community. 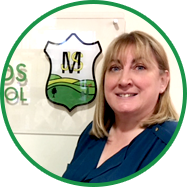 As Headteacher, I am very proud of the achievements of all of our children and I feel privileged to work with an excellent staff team who work tirelessly to support pupils, both in class and through our wide range of musical, sport, technological and creative arts extra-curricular activities. We highly value parental support and encourage communication between home and school, so that we work together in the best interest of our children. The best possible way for you to appreciate what it is like to be part of Moorlands Junior School is to come and visit us. This will quickly confirm that our learning environment is positive, encouraging and an exciting place to be. Please contact our office if you would like to make an appointment for a tour of our school. #gmgreensummit is going well. We’ve listened to @AndyBurnhamGM outlining the ambitious plans for Greater Manchester.